Weather Wise is a Flash to HTML5 conversion. 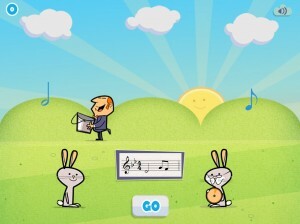 The game was developed for musicteachers.co.uk as an educational music game and now students are able to play the game on desktop and mobile devices. 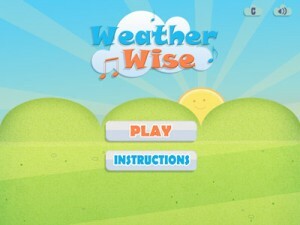 Weather Wise is a game to help students improve their knowledge of rhythm and time signatures. 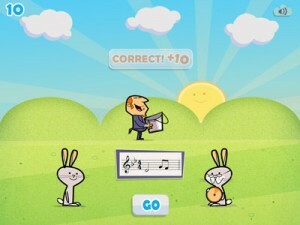 Players must work out which cloud is raining the missing note value from the bar of music. When they have worked it out, they move Ted the Weatherman using the cursor keys(desktop) or buttons(mobile) so that he is positioned under the correct cloud and click ‘go’ (or hit the space bar). This entry was posted in ANDROID, Android Games, EDUCATIONAL GAME, HTML5, HTML5 Games, iPad Games, iPhone Games, PHASER and tagged Android Game, cross browser game, Educational game, Flash to HTML5 conversion, i-Pad game, music game, Phaser. Bookmark the permalink.